The educational achievement gap is huge, the schools-to-prison pipeline is getting worse as “zero tolerance” policies become more common, and the solutions to these problems are complex. But the Eugene/Springfield National Association for the Advancement of Colored People (NAACP), a Winter 2013 MRG grantee, is a great example of the intentional, multifaceted approach needed to address these complicated problems. Each year, they host a conference to engage parents and families in their students’ education, build community, and strategize solutions. And they work throughout the year to empower parents as advocates for their kids. NAACP’s Youth Council is empowered to direct the chapter’s youth oriented activities and serve as ambassadors to area schools. They have also partnered with Lane Community College to offer an extensive mentoring and tutoring program to local youth of color. NAACP is bringing the voices of students and parents of color to local and statewide authorities to advocate for the elimination of zero-tolerance policies in schools. Zero-tolerance policies are facing greater scrutiny in school districts across the country afer a period of widespread popularity, and their elimination is a critical step to interrupting the schools-to-prisons pipeline given how these policies disproportionately harm students of color. 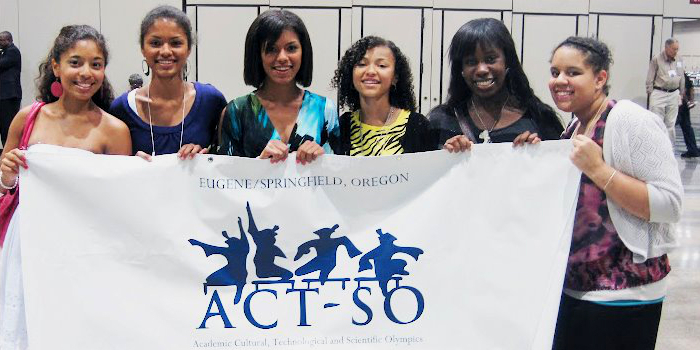 Eugene/Springfield NAACP is in an exciting period of growth and development! They recently brought on a new president, Eric Richardson, and they’ll be spending much of the next year building their base and honing their strategy. They are already making such tremendous strides advancing racial equity in Lane County – and they are definitely not the only MRG grantee working to advance educational equity – it’s exciting to think about all the possible wins just down the road.